Brooke Davis Anderson is currently Director of the Museum at Pennsylvania Academy of Fine Arts. 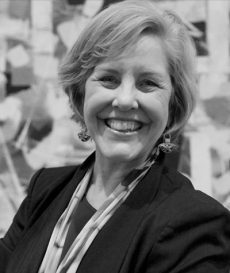 Prior to joining PAFA, she was the Executive Director of Prospect New Orleans. From 2010 to 2012 she was Deputy Director of Curatorial Planning at the Los Angeles County Museum of Art. From 1999 to 2010, Anderson was Founding Director and Curator of The Contemporary Center at the American Folk Art Museum in New York where she curated countless exhibitions, authored several books and numerous articles, and led the $1 million acquisition of the Henry Darger Study Center. 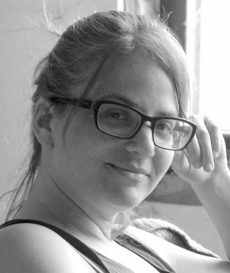 Cultural producer Chryssa Avrami has worked in numerous projects for theater, cinema, and television. Avrami was responsible for Public Relations at the Ministry of Culture and Sport for the Athens 2004 Olympic Games. She was a founding member of the Sinthesis Media Company organizing cultural events, social actions and educational programs through the production and public promotion of major events in Greece. Avrami is also producer and presenter at “Hellenic Public Radio Cosmosfm 91.5” in New York City. 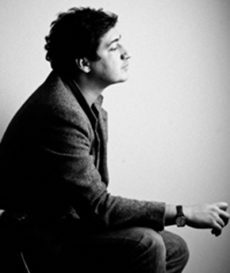 Pedro Barbeito has exhibited his work internationally for the past 17 years. Solo exhibition venues include Aldrich Contemporary Art Museum, Lehmann Maupin Gallery in New York, Parra-Romero Gallery in Madrid, 101/Exhibit in LA, and Galerie Richard in Paris. He has participated in group exhibits at the Rose Art Museum, the Museum of Modern Art in Arnhem, The Netherlands, The Palm Beach Institute of Contemporary Art, the Museo Rufino Tamayo in Mexico City, Salon 94 Gallery in NY, ACME Gallery in LA and Whitechapel Gallery in London among others. His work is in major collections through the world. 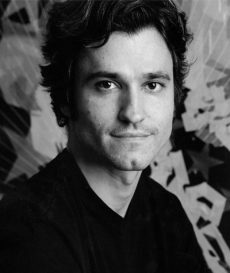 Barbeito is currently an Assistant Professor of Art at Lafayette College where he is also the Director of the Experimental Printmaking Institute. Kate Gilmore has participated in the 2010 Whitney Biennial and the 2011 Moscow Biennial, in addition to solo exhibitions at institutions such as The Everson Museum, The Aldrich Contemporary Art Museum, MoCA Cleveland, and Public Art Fund. She has been the recipient of ArtPrize’s Art Juried Award, the Rauschenberg Residency Award, and the Rome Prize from the American Academy in Rome, among others. Her work is in the collection of the Museum of Modern Art, Brooklyn Museum, Whitney Museum of American Art, Museum of Fine Arts, San Francisco Museum of Modern Art, and the Museum of Contemporary Art, among others. Gilmore is an Associate Professor of Art and Design at Purchase College, SUNY, Purchase, NY. 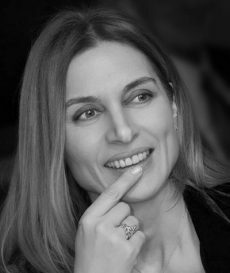 Dr. Sozita Goudouna is an art theorist, curator and the author of “Beckett’s Breath: Anti-theatricality and the Visual Arts” published by Edinburgh Critical Studies in Modernism released in the US by Oxford University Press. She is the artistic director of an arts and awareness project at Manarat Al Saadiyat in Abu Dhabi under the auspices of March of Dimes and the United Nations and has curated a program for “The Parliament of Bodies” Documenta 14 Public Program. She taught at NYU as the first Andrew W. Mellon Curatorial Fellow at Performa New York, and holds a PhD from the University of London (Onassis Scholarship 2003-7) and has studied Philosophy, Theatre and Directing in London (BA, MA, Royal Academy of Dramatic Arts (RADA) & Kings College London 1996-2000). She is a member of numerous cultural boards and was elected as Treasurer of the Board of Directors at International Association of Art Critics AICA Hellas. Anthony Meyers has provided guidance and support to nonprofit organizations, corporate and private clients in marketing, sales, programming, special events, and fundraising. 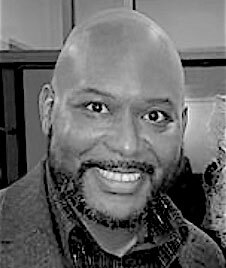 Currently, Anthony is Arts Program Specialist for the New York City Department of Cultural Affairs, managing a diverse grantmaking portfolio of over 140 nonprofit cultural organizations, and Adjunct Faculty member at Tufts University. He serves on the LGBT Policy Taskforce for Bronx Borough President Ruben Diaz, Jr, and is a steering committee member of the Stonewall 50 Consortium. 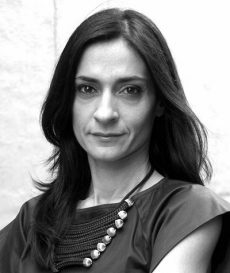 Kalliopi Minioudaki is an art historian who works as independent scholar, critic and curator in New York and Athens. 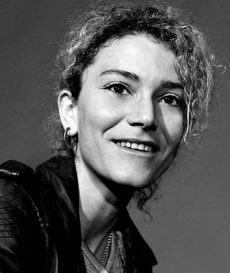 She holds a PhD from the Institute of Fine Arts, NYU and her writings have appeared in several publications and exhibition catalogues including the Rose Art Museum, the Tate Modern, and the Grand Palais. Recent projects include the exhibition and catalogue Carolee Schneemann: Infinity Kisses,The Merchant House, Amsterdam. She was also co-curator of the international video art surveys at Stavros Niarchos Foundation Cultural Center, Athens 2015 and 2016, as well as the performance art program at Stavros Niarchos Foundation Cultural Center, 2017. 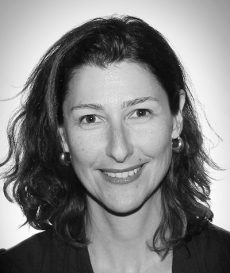 Georgia Siampalioti has worked in philanthropy and cultural programs/events planning for over 20 years in New York, São Paulo and Athens. Major arts organizations she has worked with include New York City Ballet, the Whitney Museum of American Art, the Guggenheim Museum, the American Symphony Orchestra and the Foundation for Hellenic Culture. During her diverse positions, she was charged with raising funds and creating the corresponding giving & stewardship programs. Upon her graduation from the University of Athens with a BA in Archaeology and Art History, she pursued graduate studies at the Arts Administration Program of Columbia University. Hakan Topal is an artist living and working in Brooklyn. 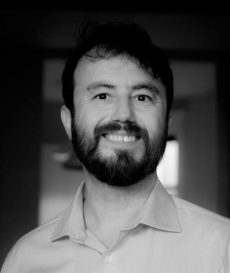 He co-founded xurban_collective (2000-12) and exhibited extensively in institutions such as the 8th and 9th Istanbul Biennials; apexart, New York; Thyssen-Bornemisza Art Contemporary (TBA21), Vienna; Kunst-Werke, Berlin; ZKM Center for Art and Media, Karlsruhe; MoMA PS1; Platform, Istanbul, the 9th Gwangju Biennial and ICP Museum, New York. Topal represented Turkey in various international exhibitions including the 49th Venice Biennial Turkish Pavilion. He is currently an Assistant Professor of New Media and Art + Design at Purchase College, SUNY. Jannis Varelas lives and works between Athens, Los Angeles and Vienna and is a graduate of the Royal College of Art in London, and the Athens School of Fine Arts. Selected solo shows include: Gallery Krinzinger, Vienna, The Breeder, Athens, Contemporary Arts Center of Cincinnati, and Kunsthalle Athena, among others. He has exhibited in group shows in the DESTE Foundation, Benaki Museum, Saatchi Gallery, Palais de Tokyo, the New Museum, Kunsthalle Wien, and the New Orleans Biennial Prospect 1, among others. His work can be found in the Saatchi Collection, London; the Dakis Joannou Collection, Athens; the Zabludowicz Collection, London; The Onassis Foundation Collection, New York and The Hort Family Collection, New York. As a non-profit organization, donations are a critical source of funds for our programs, operating facilities, and staff. Help us connect diverse artistic talents with dynamic cultural discourse. ARC Athens Inc. is a New York charitable corporation, exempt from taxation under section 501(c)(3) of the Internal Revenue Code. Donations are fully tax-deductible as allowed by law.